Is your Facebook newsfeed cluttered with too many updates? Facebook has introduced ‘Interest List’ feature allowing you to filter and manage updates in the form of lists. You can create multiple ‘Interest Lists’ containing specific Facebook friends and Facebook fanpages. 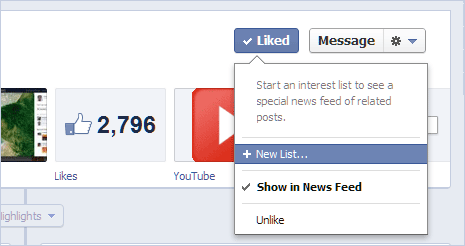 Once ‘Interest List(s)’ are created, you can access them with single click from left sidebar of default Facebook page. It will show latest updates from friends and fanpages included in that ‘Interest List’. To bring some sanity and organization to regular Facebook updates, you need to spend few minutes in creating ‘Interest Lists’ of your choice. Procedure to create ‘Interest List’ is very easy and straight forward. 1. 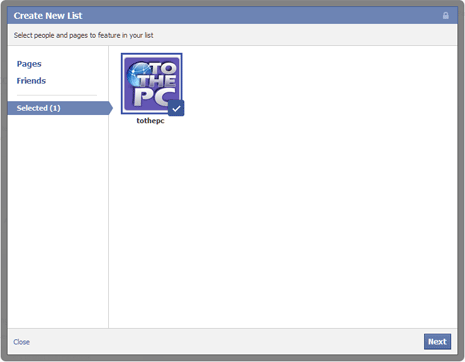 To get started, open any Facebook fanpage like facebook.com/tothepc and click on Like button at the top. You should see pop-down menu reading “Start an interest list to see a special news feed of related posts“. 2. Click on ‘New List’ option. In the ‘Create New List’ box, click on pages tab to add more fanpages to this Interest List. Similarly, you can click Friends tab add updates from specific Facebook friend in this Interest List. 3. Once you have selected fanpages and friend that should be included in Interest List, click Next button. Then enter name for your Interest List for example: My best picks, My favorites and so on. 4. 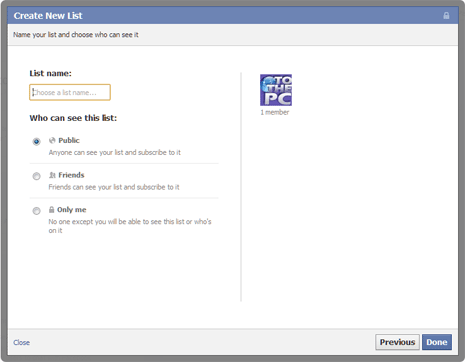 Click on select on visibility of your Interest Lists to your Facebook friends among: public, friends, only me options. Then click Done button to create and save newly created Interest List. Once you have created Interest List, it will be listed on left side bar of your Facebook webpage. You can click on specific Interest List and view latest updates from those friends and fanpages. For sure one easy and quick way to manage new updates clutter on Facebook, what say? where is the list show in new timeline interface ?